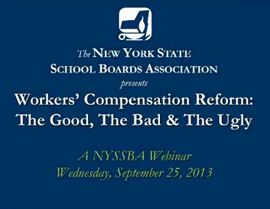 New York’s premier provider of worker’s compensation for school districts. PERMA, the largest and most successful self-insurance pool for public entities in New York State and one of the largest in the country, is a non-profit association created in 1982 by local officials. It is governed by local officials and a Board of Directors elected by the membership. Over 500 cities, towns, villages, counties, fire districts, school districts and BOCES have chosen PERMA to manage the safety of their workplaces and their workers’ compensation claims. With an asset base of over $140 million, PERMA has the financial strength one would expect form over 500 municipalities with the same goal – reducing losses and expenses associated with workers’ compensation coverage. PERMA’s services are built around PERMACare, a claims management system. Members are assigned a team of Case Analysts upon entry to PERMA that handles all of the member’s claims. Case loads are continually reevaluated so that no Analyst is handling more than 150 indemnity cases at one time. Care is directed by registered nurse Patient Advocates on all indemnity cases, and they work closely with the claimant, employer and practitioner to ensure a timely return ‐to‐work. If the injury is severe, the Patient Advocate will make certain the claimant receives proper care for AND that the family members are being assisted. PERMA’s regional Loss Control Consultants are available from the moment you become a member. They will help you design and implement a school/BOCES‐wide safety plan, attend safety meetings, and provide training resources in such diverse areas as Playground Safety, Illness Prevention, Custodial Safety and Workplace Violence. The consultants hold regular regional trainings to address OSHA and PESH regulations compliance, as well as conduct webinars on a variety of safety topics. PERMA’s goal is for members to take ownership of their own safety. Safety and wellness go hand‐in hand these days – a healthy employee is less likely to get injured in a workplace accident. So, in addition to their extensive safety offerings, the PERMA Patient Advocates have developed Wellness in the Workplace, a program to reinvent the workplace as supportive to healthy lifestyle change. A Patient Advocate will give assistance in identifying workplace wellness needs and implementing a Wellness Program, including presenting Wellness Fairs. The longer an injured employee is absent from the workplace, the higher the costs are for you and for PERMA, so an implemented Transitional Duty program at the municipality level will reduce costs. PERMA Loss Control Consultants and Patient Advocates will work with you to develop a program that, in essence, makes returning to work a team effort, undertaken by the employee, the employer, the medical provider and PERMA. So when an injury forces an employee out of work, the team can activate to get the employee back to work as soon as is reasonable.